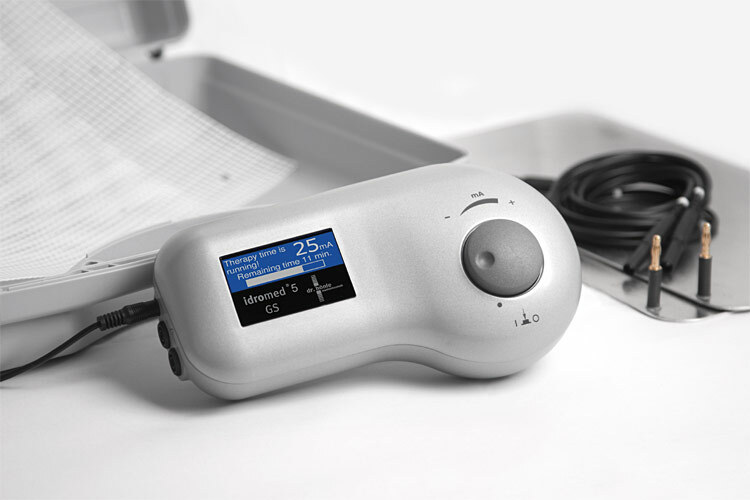 If you want to treat Hyperhidrosis using Iontophoresis-therapy, then the Idromed 5 is the appropriate and reliable unit of choice. Without the use of drugs, with very few side-effects and without surgery; Hyperhidrosis can be treated successfully in the majority of cases. 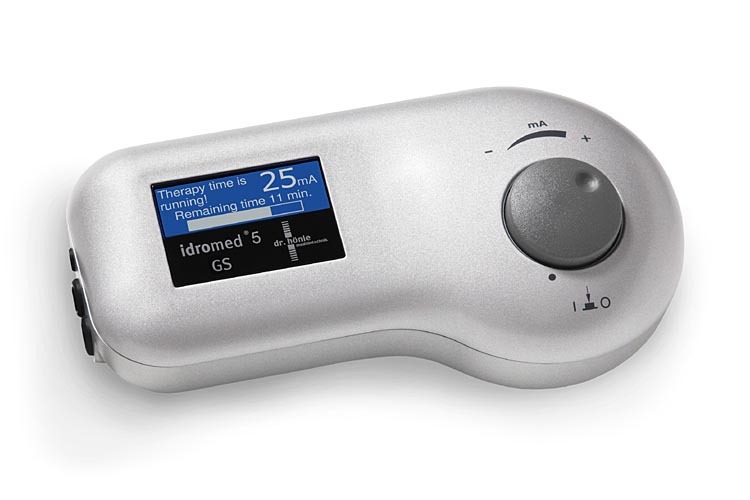 For those of you with sensitive skin (for example - children) and for those who want to use the device for hand and armpit sweating; we suggest you try using the Idromed 5 PC device, or the Hidrex Pulsed The Idromed 5 PC unit produces a pulsed direct current, reducing irritation and allows for a more comfortable treatment. 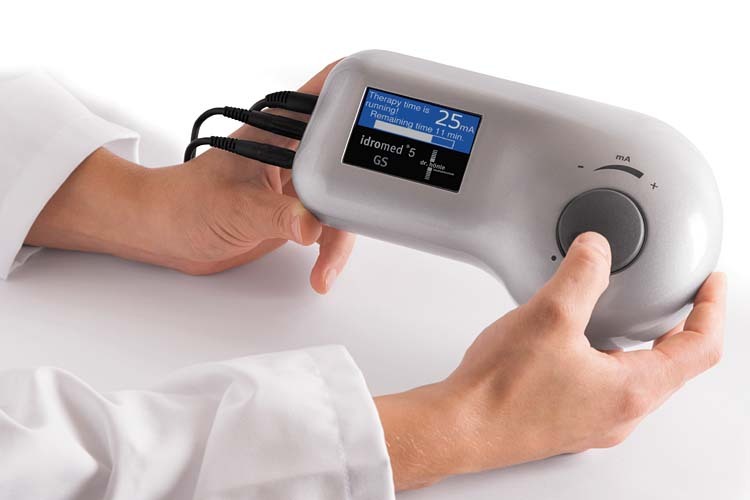 The standard set includes: Iontophoresis device Idromed 5 DC (DC-Device) 230/240V version. 1 x Power supply with foot switch, 2 x stainless aluminium plate electrodes (nickel-free), 2 x electrode cables, 2 x distance grids. 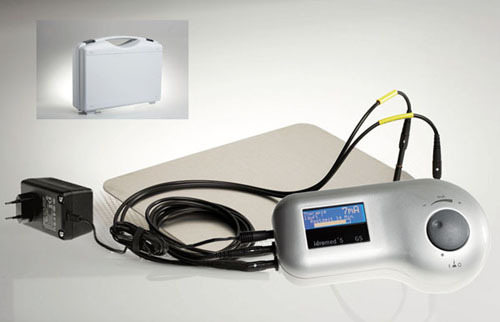 1 x shock-proof suitcase; the 2 half’s of the suitcase also double as treatment tubs. One manual in English - other languages available too! 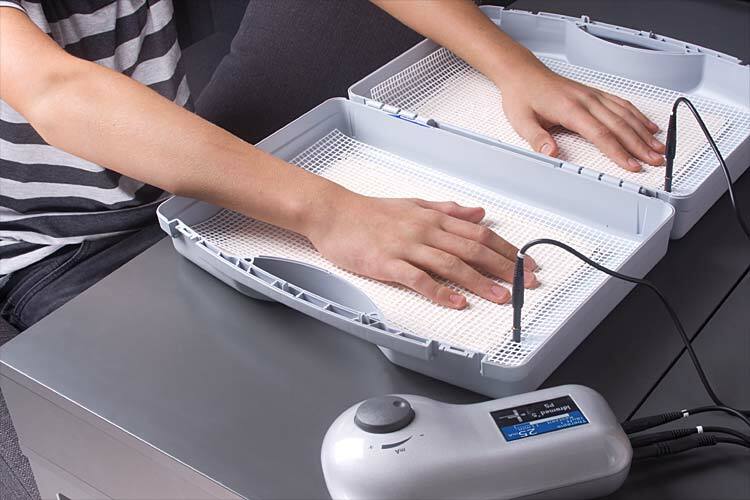 - We offer a full 2 years warranty!